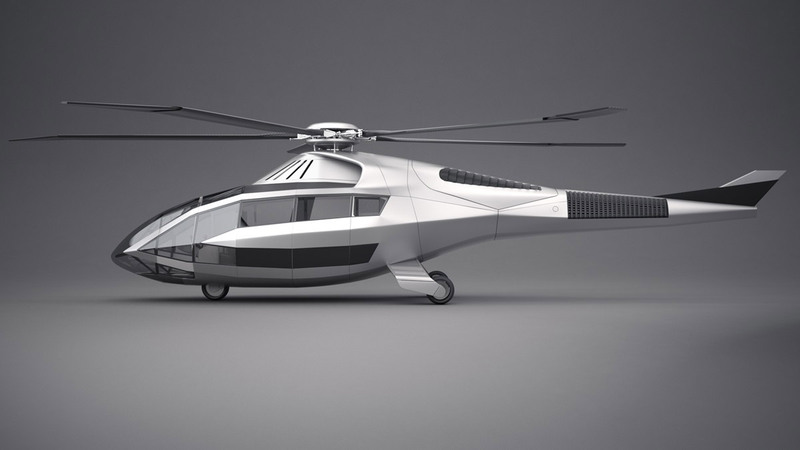 Bell Helicopter challenged its Innovation Team to accelerate its aircraft design process. Turning to VR as a key improvement to their design pipeline, the team created the FCX-001, the company’s first “concept aircraft,” in just six months. Typically it takes five to seven years to design a helicopter, according to a case study published by Bell and HTC. Within that period there’s typically multiple iterations being explored between draft drawings, pilot testing, and focus groups. Thanks to VR, the FCX-001 ended up taking less than six-months to create, Bell says. The drastically expedited timeline was accomplished by employing VR in lieu of physical models and mockups. Working alongside Sector 5 Digital, which specializes in 3D design and production, the initial design and model was generated in CAD software, and then transferred into Unity so that it could be tested and modified in real-time with VR. Using an HTC Vive, engineers were able to work from the start with a full scale virtual model to pass off to the test pilots. That allowed test pilots and engineers to experience the full scale model from the start rather than creating multiple physical mockups along the way. Feedback could therefore be gathered more quickly and easily, allowing for tuning of key characteristics like visibility and positioning of controls prior to creating a physical prototype. Bell says that the aid of virtual reality may have saved the company millions, if not tens of millions, compared to its traditional design process. Not only has VR been handy in the overall design of the FCX-001, it’s been helpful as a sales tool, allowing the company to showcase a wide range of customizations specific to a client’s needs. Given its success with VR in this branch of their business, Bell says it’s looking into incorporating VR into other aspects of its business such as training and maintenance.